This Indonesian Dance troupe performs traditional & contemporary creative dance from the islands of Java,Bali,West Sumatra and Ache. 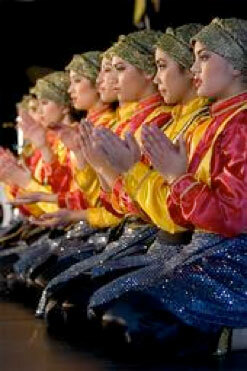 Dressed beautifully in Indonesia’s elaborate costumes this troupe takes you to the Heart of this magical land. This performance can include live Indonesian percussion to transform your event into an unforgettable experience.